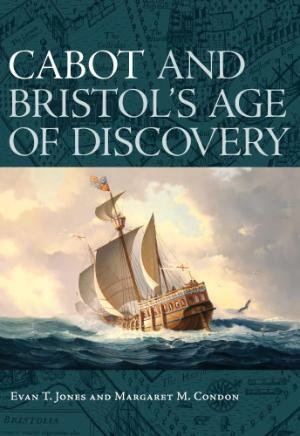 This is an international and collaborative project set up in July 2009 by Evan Jones and Margaret Condon to investigate the Bristol discovery voyages of the late-fifteenth and early-sixteenth centuries – in particular, those undertaken by the Venetian adventurer, John Cabot (a.k.a. Giovanni Caboto, Juan Cabotto, Zuan Chabotto). The origins of the project lie in Dr Evan Jones' investigations of the research claims of Dr Alwyn Ruddock (d. 2005). Dr Ruddock, who was formerly a 'Reader' at Birkbeck College, University of London, dominated research into the Bristol discovery voyages from the 1960s, making finds that promised to 'revolutionise' our understanding of Europe's engagement with North America in the three decades after 1492. However, Ruddock never published her key findings and, on her death, she ordered the destruction of all her work. Since 2006, Jones and his associates have been engaged in a widely-reported search to determine what Dr Ruddock found and where she found it. The published results of their work can be found on this site – much of which is available for free – as well as well as information on papers presented by project members. In May 2011 the project received a significant boost, following a major donation from a Canadian benefactor, part of which was used to fund a Schools Group, to introduce the projects research to Bristol primary and secondary schools. Since 2009, the Cabot Project's work has concentrated on the following areas. Dr Evan Jones and Margaret Condon, have been finding out more about Ruddock's claims and sources, while, at the same time, they have been conducting more general investigations in English and foreign archives. These include: The National Archives, the British Library, the London Metropolitan Archives, the Bristol Record Office, Gloucestershire Archives, Southampton Archives and Archives départementales de la Gironde. They have also found out much about other aspects of the Bristol voyages, including information, found earlier by Dr Ruddock's, that she intended to use to support her claim that Cabot returned to England in the Spring of 1500. A short book about their research findings, aimed at a general audience, was published in November 2016, while an articicle about the Bristol explorer, William Weston, was published in October 2018. Jones and Condon are currently writing a monograph on the the Bristol discovery voyages. Following discoveries made by Jones and Condon in the summer of 2010, Prof Francesco Guidi Bruscoli (University of Florence / Queen Mary, London) joined the project as a research partner. In October 2010 he located documents that confirm that Cabot was, as Ruddock claimed, financed by an Italian bank in London. Dr Guidi Bruscoli's discoveries include the location of a 1496 loan made to 'Giovanni Chabotte viniziano' (John Cabot, Venetian) to undertake his exploration voyages. An article on this subject was published by Historical Research in 2012 and he has since published other related pieces. From 2011-14 Dr Peter Pope (Memorial University, Newfoundland), who was associated with the project since its inception, conducted archaeological work as part of his related 'Carbonear Project'. This expored the development of Carbonear, which was one of the earliest settlements to be established in Canada. The settlement is of interest to the Cabot Project because Dr Ruddock identified it as the location of the church and religious community that she believed was established in 1498 by Cabot's supporter and companion, Fra Giovanni Antonio de Carbonariis. While Dr Pope found evidence relating to European presence in the area from the seventeenth century, no material relating to the early voyages or putative settlement was discovered. Sadly, Peter died in April 2017, following a short illness. The Project's chief associate in Newfoundland since that time has been the archaeologist William Gilbert (Baccalieu Trail Heritage Corporation). From the summer of 2010 Dr Heather Dalton (University of Melbourne), has been formally associated with the project. Her work focuses on John Cabot's son, Sebastian, and the international network of explorers and merchants with which he collaborated. This research was published in a book in 2016. 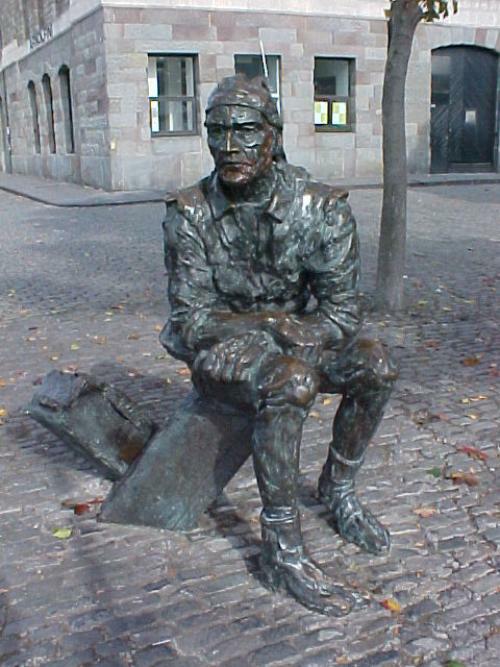 In Bristol, Dr Fernando Cervantes and Mr Gonzalo Velasco Berenguer have assisted with Spanish sources, Dr Richard Stone has worked on an off-shoot project examining seventeenth-century English settlement in Newfoundland and Tricha Passes has examined the historical reception of John Cabot in Bristol. A further offshoot of the project was the 2014 conference: 'The World of the Newport Ship' which resulted in an edited volume by Jones and Stone. In October 2018, the Basque scholar, Dr Iago Irixoa (Ereiten Kultur Zerbitzuak, S. L.) formally affiliated to the Project, having worked with us for some years in the investigation of the commercial relations between Bristol and the Basque Country at the time of the Bristol discovery voyages. Broader project members include Dr Jeffrey Reed (Washington D.C.) and Susan Snelgrove (Newfoundland). Beyond this, we aim to encourage researchers who wish to carry out investigations in this field, either in direct connection with the project or as independent scholars. We also welcome offers of assistance from those who have knowledge, skills or experience to contribute, as well as those interested in offering material or financial support, the team having benefited greatly from such aid in the past. The Cabot Project's initial investigations received £2,000 in funding from a Bristol-based television company and the University of Bristol, through the Arts Faculty Research Director's Fund. In June 2010, the project received £6,317 from the British Academy to pay for the travel and subsistence expenses of Condon and Jones until August 2011. During the summer of 2010, Dr Dalton received funding from the Australian Academy of the Humanities, under its International Research Fellowships scheme for collaborative research, to carry out work with Jones and Condon. In May 2011 the project received £90,000 from Gretchen Bauta, a private Canadian benefactor, with an additional £30,000 in 'Gift Match' funding from the UK Government. This money funded a further five years of research (Nov, 2016). At the same time, Mrs Bauta donated CAN$90,000 to Dr Peter Pope, to provide support for the 'Carbonear Project'. In addition, Mrs Bauta later paid for the bulk of the publication costs of the Newport Medieval Ship volume. The Project is currently being funded by donations. If you are interested in supporting any aspect of the our work, please contact Evan Jones.